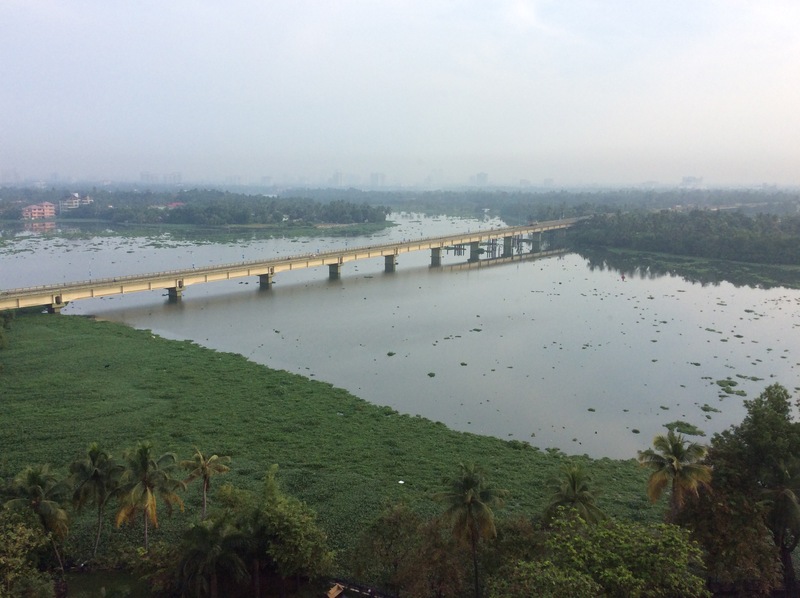 This is the view from my window in Kerala where I will be until next Sunday. It’s 35C and 97% humidity so it’s quite a shock to the system. Normal personal defence arrangements are in place – constant use of antiseptic hand gel, drink only bottled water, never touch salad, etc. I’ve got through two previous visits unscathed and I’m ever-cautious. The food in this part of India is beautiful. It’s quite vegetarian and gentle. I’m looking forward to seeing how it develops. One of the significant aspects of this is the presence of the Church of Scotland – represented by Professor Ian Torrance. The Church of Scotland has been foundational in the establishment of the Reformed Communion – the HQ was formerly in Edinburgh. So there is immediate and significant benefit for the SEC and for the Church of Scotland that we should meet in this way at this level. People want to know the important details. I was even shorter on sleep on the journey here because I was upgraded to Business Class on the leg from Dubai to Cochi. I needed time to deal with that glass of champagne, etc. And of course there is no alcohol here – only sold in the most expensive hotels.